It is important to determine what qualities you are looking for in a roof. Are you looking for one that can enhance your exterior’s appeal? Do you want a roof that will give you peace of mind despite severe weather conditions? Fortunately, you can get the best of both worlds by installing architectural shingles. Architectural shingles are thicker than traditional asphalt and fiberglass shingles. They are designed to look like slate, cedar, clay tile, and other natural materials. Because of this, many roofing companies in Michigan offer these kinds of roofs in a wide selection of colors. They are also known as laminated or dimensional shingles. Architectural shingles have heavy fiberglass and asphalt as their core and are made of two or three laminated layers. They also come in an array of styles. There are synthetic slate shingles made with composite materials molded to look like natural slate. There are also synthetic wood made to look like cedar wood. These features give them dramatic shadowy lines, which in turn give them an elegant look. What Are the Advantages of Architectural Shingles? There are architectural shingles that have reflective surfaces that help reduce heat absorbed by your home. They are lightweight, which makes them easy to install and replace. Their strong multi-layer design makes them resistant to strong winds. They are often installed on high-slope roofs, which make them good at shedding snow and rainwater. In addition, they are also resistant to algae, adding up to their durability. As one of the few manufacturer-certified Michigan roofing companies, we provide a variety of quality architectural shingles from Owens Corning and IKO. They can stand up to winds blowing at 100-130 mph. They can prevent algae from growing and spreading, making them a durable roofing option. We also take pride in having shingles that meets ENERGY STAR® rating requirements for the American Taxpayer Relief Act of 2012. You can also choose from an extensive range of colors, textures, and styles, which will add character to your exterior. You can have the peace of mind knowing that our roofs will address your needs. 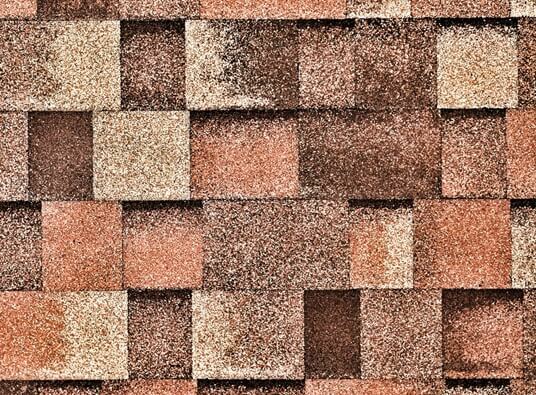 Call us today at (888) 338-6340 or fill out our form for more questions about our shingles.